Apex Legends is off to a cracking start, but folks are beginning to speculate on what the future might hold for EA’s battle royale extravaganza – and that could include new game modes for duo squads and solo players, at least according to freshly leaked info. This comes courtesy of ShiinaBR (and their ApexUpdate account) on Twitter (as spotted by VG247), a data miner who has been a prolific source of Fortnite leaks in the past, but has now unearthed some very interesting nuggets regarding rival shooter Apex Legends. A data miner, incidentally, is someone who digs deep into the files and code of a game, to try to find clues about its workings, or what might be coming next. And in the case of Apex Legends, the titbits found point to a possible solo mode, along with a duo mode – two-player squads – to slot alongside the existing gameplay which pits three-player squads against each other (20 of them to be precise, to make for 60 players). According to the details, the 60 player limit would stay, meaning there would be 30 two-player squads, or 60 solo players, as you would expect. Of course, we can’t take this as anything but a hint of what’s potentially to come, though it has certainly sparked some interest on Twitter, with predictable comments from those who want to go it alone and are fed up of being partnered with ‘n00b’ teammates. Naturally, plenty of Apex Legends players have already been asking for these modes to be introduced, and there has been plenty of chatter for and against the idea. The pro camp mainly consists of those who have serious problems with playing with randoms and pick-up groups in general. Or those who really don’t like the idea of feeling that they have to voice chat with strangers, although to be fair, the game’s clever ping system does substitute rather nicely for verbal interaction, effectively making it optional (at least to a point, or for casual play anyway). On the other hand, many feel that a solo mode would obviously be going against the team-focused slant which differentiates EA’s shooter, and that it could usher in a whole slew of fresh gameplay balance issues. Although two-player squads would still be a team game, of course – just one where you only have to find a single friend to partner up with, rather than two, if you want to avoid a random group member situation. Another big feature that could be coming to Apex Legends eventually is ranked play, again according to info derived from the game’s configuration files. 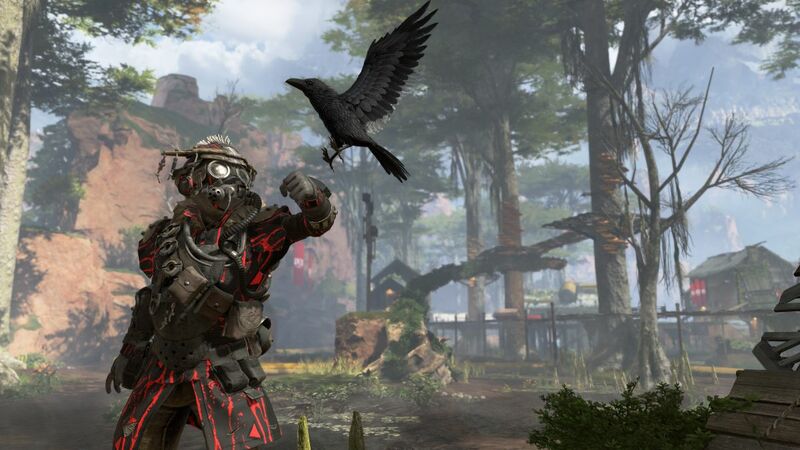 Whatever might be in the pipeline, EA must certainly have plans to attempt to keep up the momentum Apex Legends has quickly built since its launch last week, when the game hit 10 million players in just three days flat (a milestone that Fortnite took two weeks to achieve).